HE the Minister of Administrative Development, Labour, and Social Affairs Dr Issa Saad al-Jafali al-Nuaimi visits the QRCS stand at The Workers’ City yesterday. 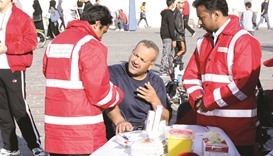 Qatar Red Crescent Society (QRCS) has organised various training and educational activities for expatriates at The Workers’ City at Industrial Area to mark the International Workers’ Day celebrations in Qatar yesterday. Under the patronage of Minister of Administrative Development, Labour, and Social Affairs Dr Issa Saad al-Jafali al-Nuaimi, the event had seen representatives from more than 30 institutions participating. It was also attended by government officials and diplomats. 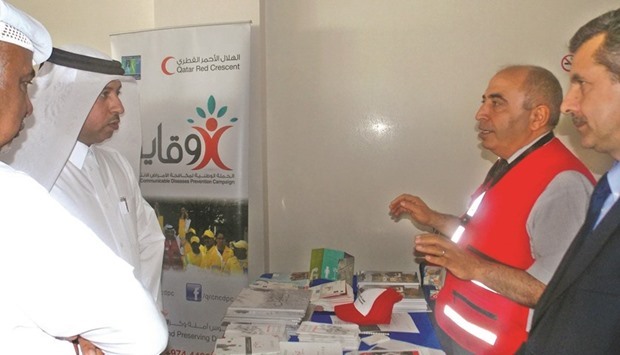 The attendees had been introduced to QRCS’s mission and services for expatriate workers through its Workers’ Health Centres and health education programmes at worksites under the supervision of the Ministry of Public Health. The event also reinforces QRCS’s role in society in partnership with public and private organisations, mainly the Ministry of Administrative Development, Labour, and Social Affairs. 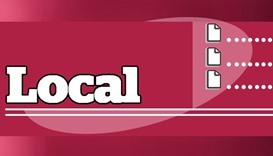 “I would like to thank you for your contributions to the welfare of the workers across the board. Thanks also to those institutions that support you,” Dr al-Nuaimi said as he directed his assistants to facilitate QRCS’s activities that address the needs of expatriate workers. The Minister was also briefed about QRCS’s healthcare, social, and empowerment services which aim to improve the living conditions of expatriate workers. He commended QRCS’s multilingual health awareness printouts, as well as the workers’ health education at workplaces programme.